Office organization is the first step to achieving the growth and development you want from your business. The performance and motivation of employees can be directly affected by both their physical and virtual workplace environment. There are tons of office organization work ideas for organizing an office work space. From office shelving ideas, office table and desk design ideas through to a complete range of business office organization ideas. Office organization ideas make a big difference. 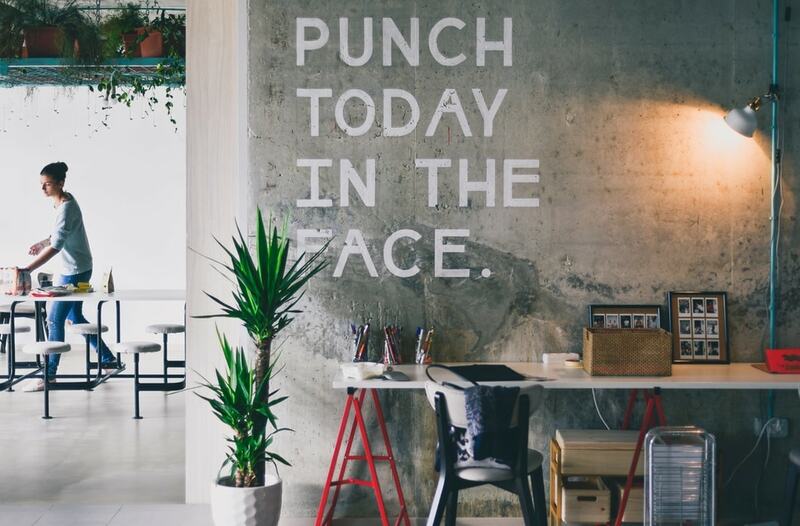 When, any workspace is organized, tidy, and bright, staff are likely to be more engaged and productive. A messy or untidy office can create a sense of being undervalued and result in inefficiency, which is why it’s so important to understand how to be organized in an office. Work office organization ideas mean working smarter and being organized and in control, so applying organized solutions will yield the best results. It’s not just the physical environment that needs to be organised the virtual one does too. There are lots of software options which allow you to organize a computer desktop. By planning things like your social media campaigns along with other project tasks in advance, you’ll be able to save valuable time and improve efficiency. Implementing file organization ideas means having an organised computer desktop. Work office organization ideas gives you the right tools to accomplish tasks and activities makes the day to day much more manageable using a virtual office tool. Some of the best ideas for office workspace organisation are often the simplest. By, exploring ideas for business and office organisation you can implement the ones that will lead to overall success and business growth. Letting software tools handle your paperwork is an immediate stride towards organizational efficiency. Copy and digitally store documents at fixed points throughout the day. Work to your to do list – There is flexibility needed but make this your point of reference. Without an organized office, meetings can be missed or incorrectly scheduled which has a knock-on effect down the line. 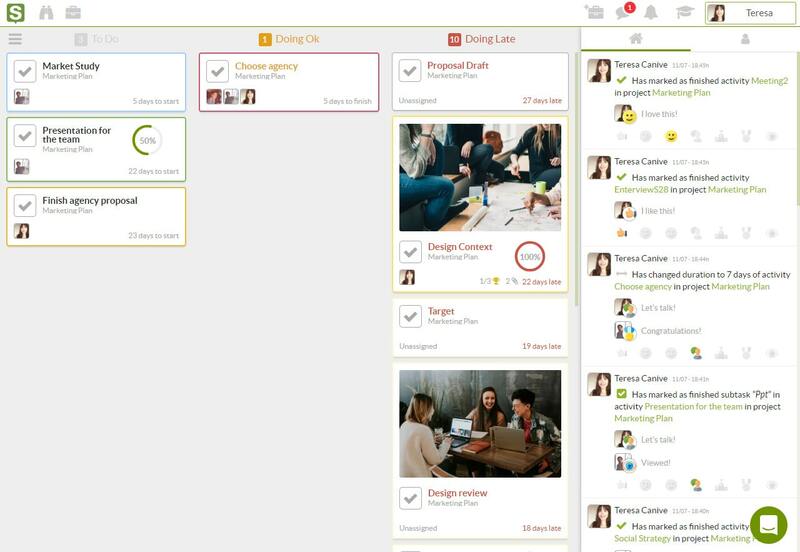 By implementing Sinnaps online project management software you can easily organize your most important activities in your agile board, so you can be sure you’ll meet your deadlines and complete those urgent tasks. In a virtual office files should be assigned to folders before the end of each day and in the physical one desks should be left clean and tidy. Sinnaps makes the virtual management side of business organisation easy and simple giving you visibility and managing your schedule and workflow. Keeping your computer’s desktop tidy and dealing with emails saves time and boosts your effectiveness. Decluttering gives you added control so you can be confident that you’re organized and ready to take on each working day. When it comes to the physical space then shelving and storage ideas are easy to implement and can be used to add a decorative look to any office. Having shelves is great but being organized means regularly cleaning and clearing them to make sure they don’t become cluttered or just another space to store junk. A clean desk policy helps to keep you focused on the task in hand, manage your resources and avoid work overload. Even if it’s just a stack of papers, make sure they have a home ready for when you need to access them. Desks without draws can seem like a leap but it will force the issue when it comes to putting things away. 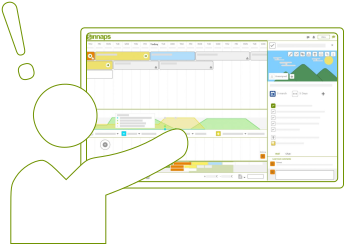 Once you’ve got the physical environment under control Sinnaps gives you the best tools to manage the virtual environment efficiently. There are also desks that are designed to suit open plan or smaller offices. small office decorating ideas include making the most of your space. Adding shelving and keeping the space light and bright are key. Some innovative ideas include using wall space to your advantage. Picture frames can be made to be functional for storage rather than just adding plain pictures. Work office organization ideas relate to everyday items such as cords and cables for computers and printers. They can quickly become a hazardous bird’s nest of wires. Cable ties or wireless options where possible can help to reduce the tangle and make a work area more pleasant to look at and work in. Desk draws can also easily become a junkyard of unwanted items. There’s nothing more frustrating than trying to open a stuck drawer. Software tools like Sinnaps mean that unnecessary paper copies can be done away with. Sinnaps allows you to digitise important documents and store them virtually using a cloud-based system securely and with confidence. These ideas for solutions in business such as office storage ideas and utilising the right software tools like Sinnaps will enable you to be more productive and successful in your projects. It will also go a long way to reducing stress levels often caused by the feeling of work overload. Take a step back and review your surroundings both virtual and physical. More and more organizations are using SaaS and cloud-based systems to integrate business units. 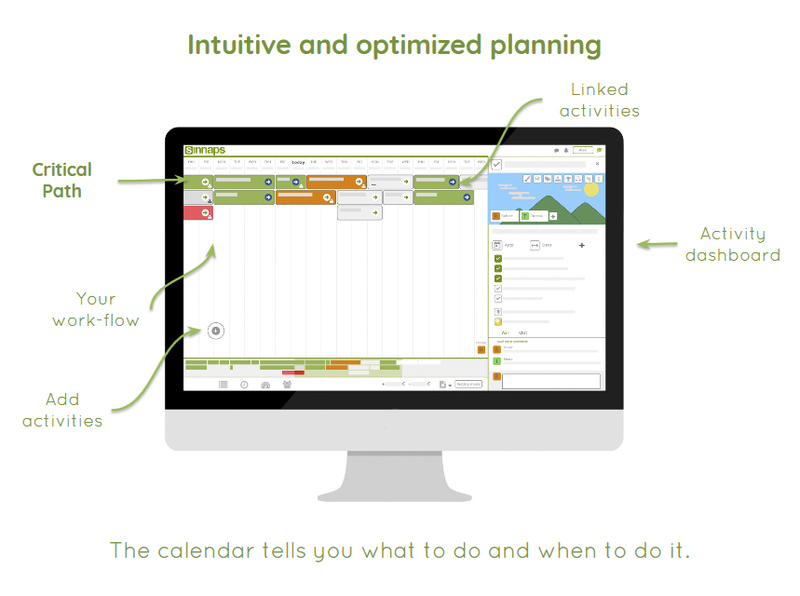 Sinnaps allows you to plan so you can move towards efficiency and productivity with peace of mind.